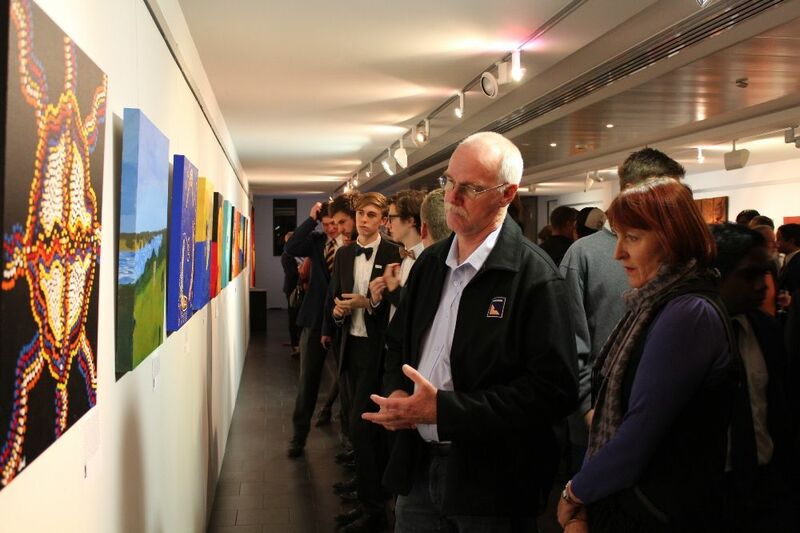 Christ Church’s third annual Indigenous Student Art Exhibition opened in the Old Boys’ Gallery on Wednesday night. 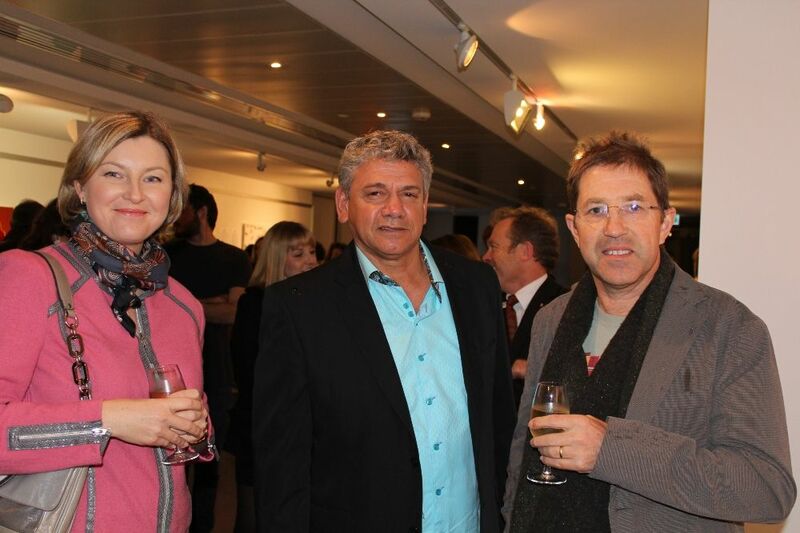 Chairman of the WA Chamber of Arts and Culture Warwick Hemsley officially opened the exhibition. 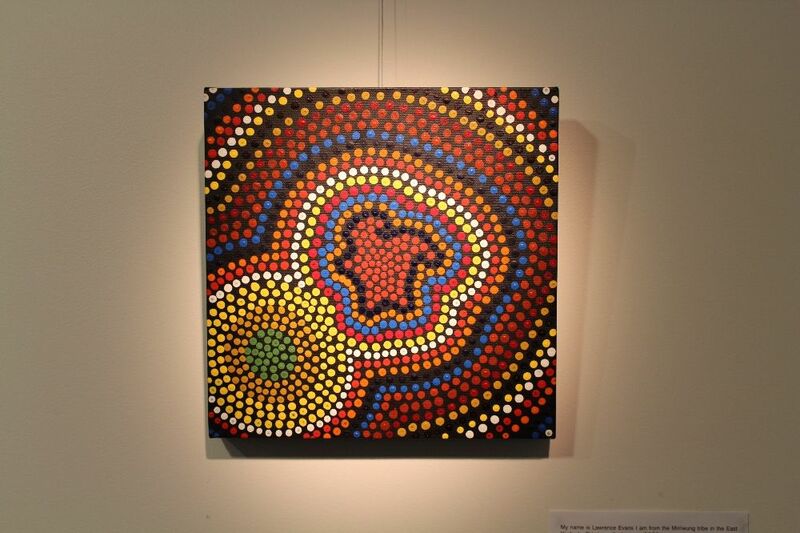 The exhibition, titled ‘Connected’, was a key part of the School’s NAIDOC Week program. 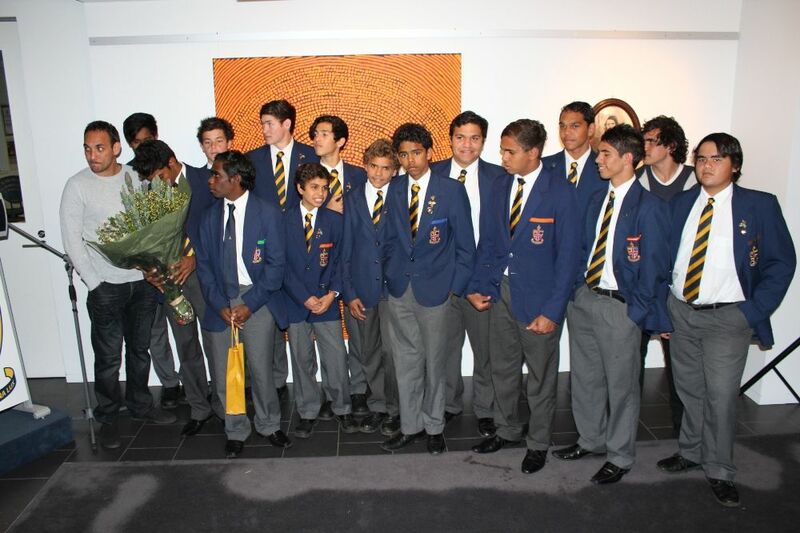 A large gathering of the school community came together to appreciate the original artworks of 16 indigenous boys as well as three old boys. 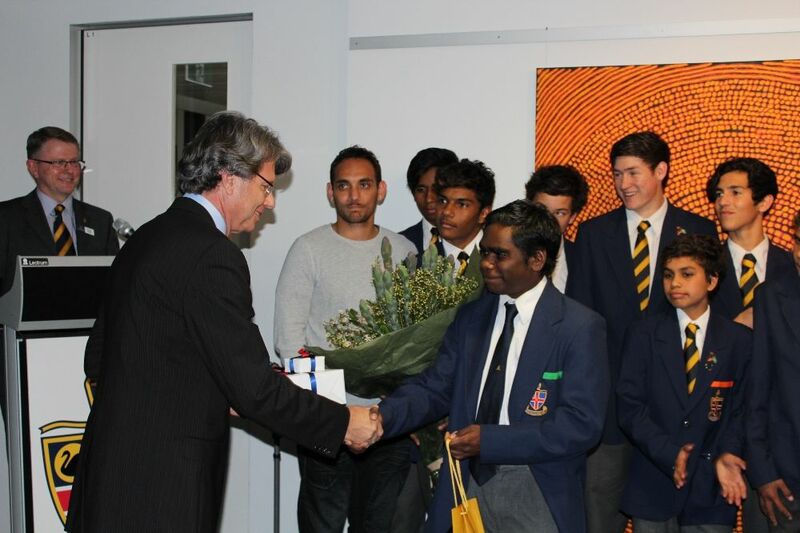 Mr Hemsley, who is also Chairman of the West Australian Opera Company and a council member of the National Gallery of Australia, praised the boys for their remarkable artwork as well as the School and staff for their commitment to the Indigenous Student Program. 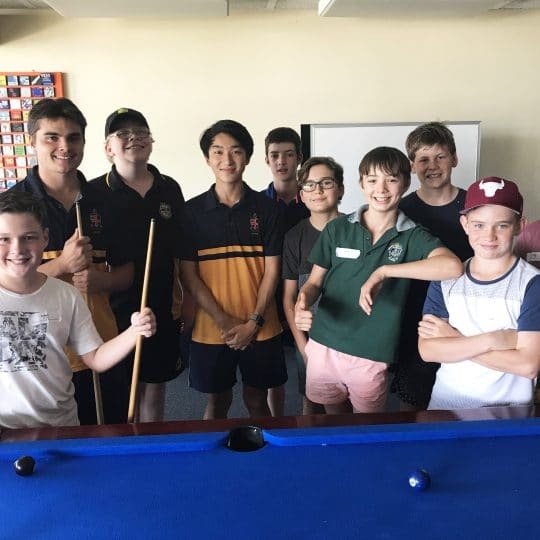 The indigenous students, who are predominantly from the Kimberley region, took part in a series of after-school workshops inspired by the brief, ‘My People, My Country’. 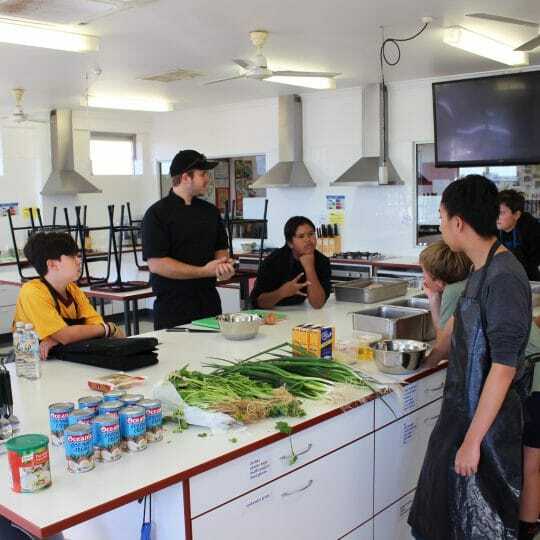 Senior Art teacher Gisela Züchner-Mogall led the project together with the School’s Indigenous Program Co-ordinator Jamie Foster and Residential Community assistant Frank Ansey (Class of 2009). The brief encouraged the boys to research their families and countries by creating a photographic story, which they brought back to school. 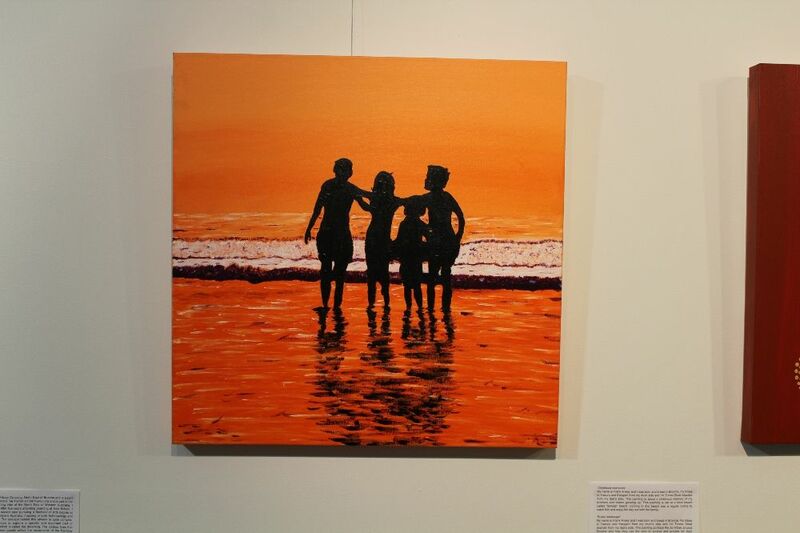 The boys created their paintings over nine weeks, working on Sunday afternoons and after school. 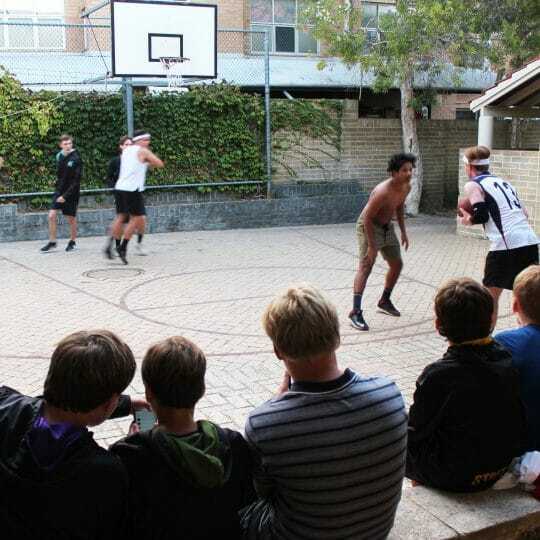 Mrs Züchner-Mogall said she was once again delighted by the boys’ response and engagement to the project. 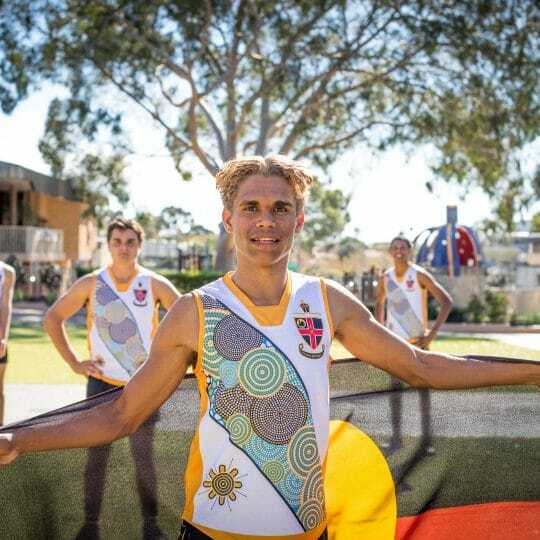 Descriptions of the artwork, together with a map of Aboriginal Australia showing the boys’ tribes and where they are from, accompany each painting. 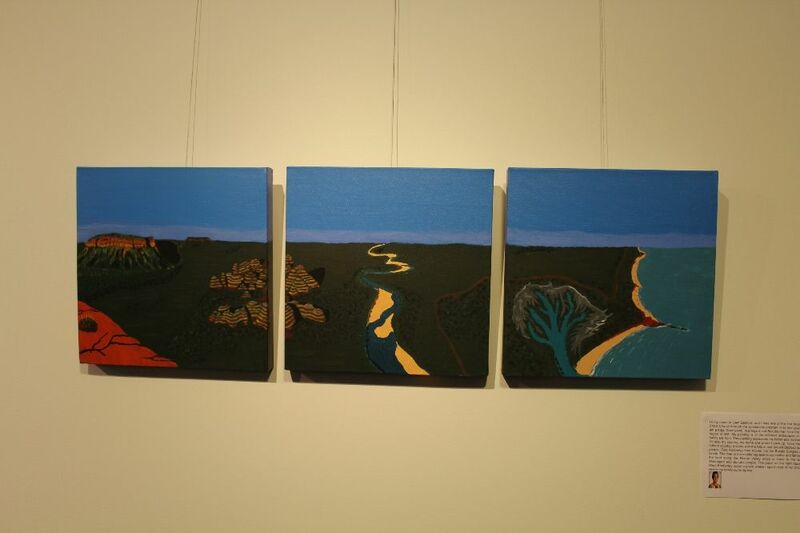 The exhibition will be on display until Friday 9 August. Parents and the wider community are encouraged to view the exhibition in the Old Boys’ Gallery during school hours or by special arrangement.